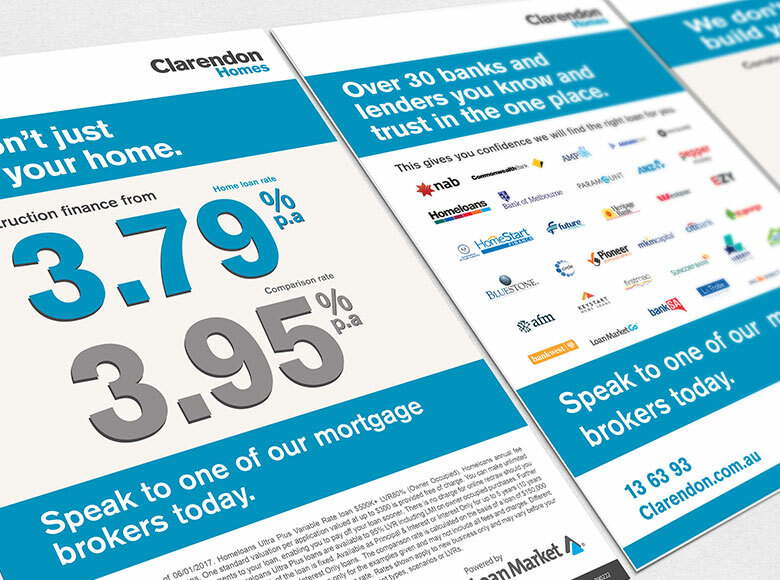 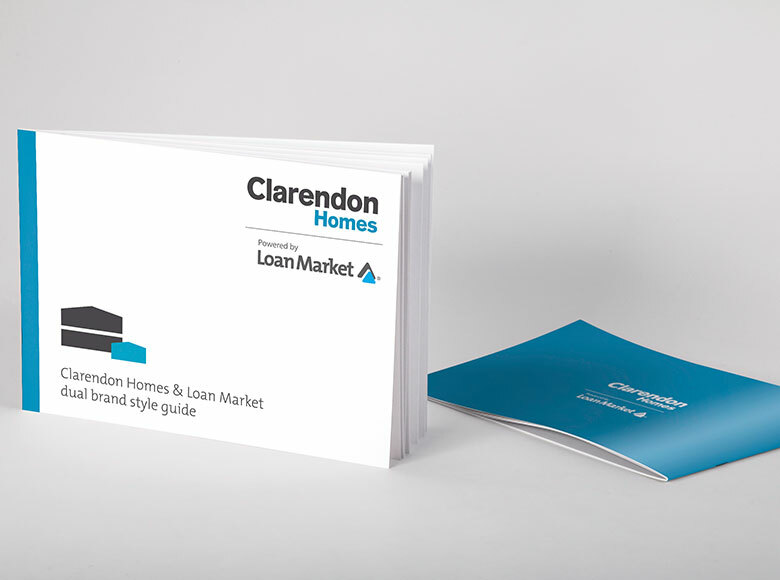 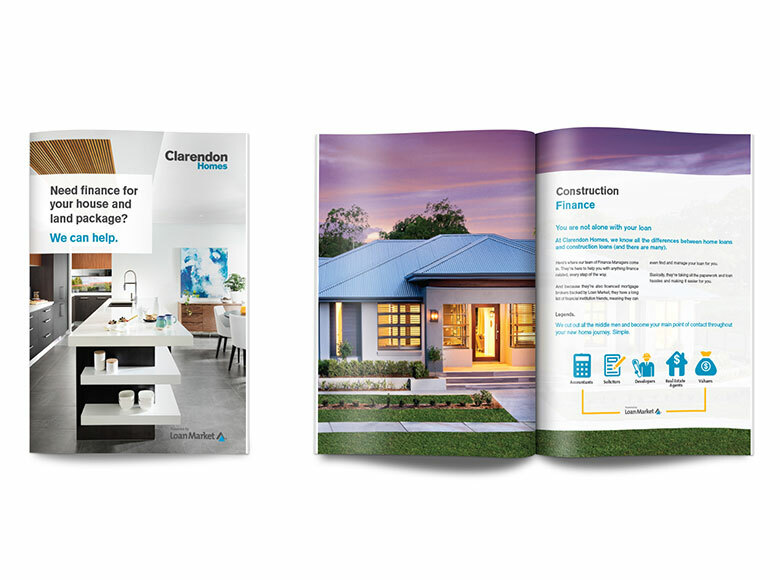 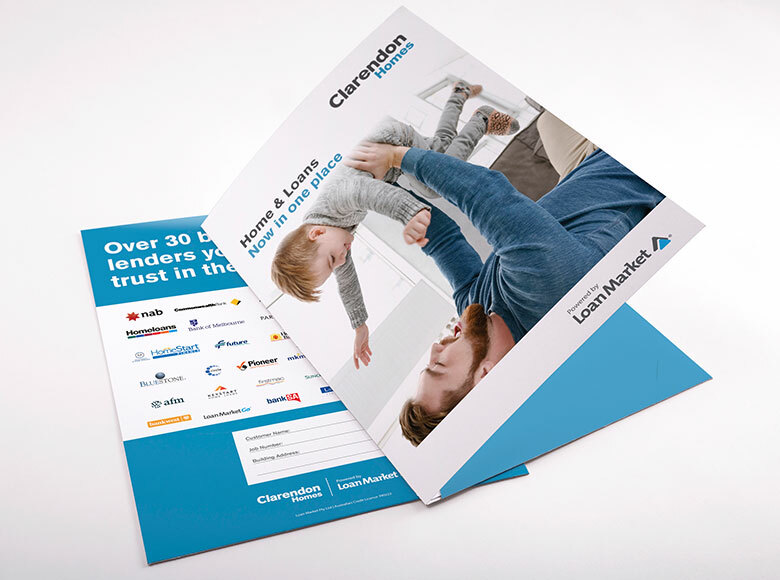 Loan Market recently became the finance provider for Clarendon’s customers who are seeking finance for their new home loans. 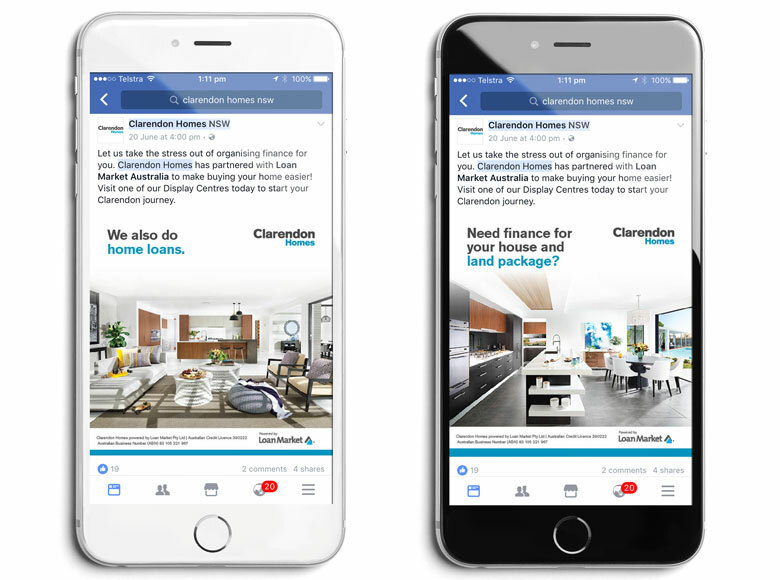 To achieve this, I firstly created dual branded guidelines showcasing Clarendon Homes as the master brand with Loan Market being the sub brand. 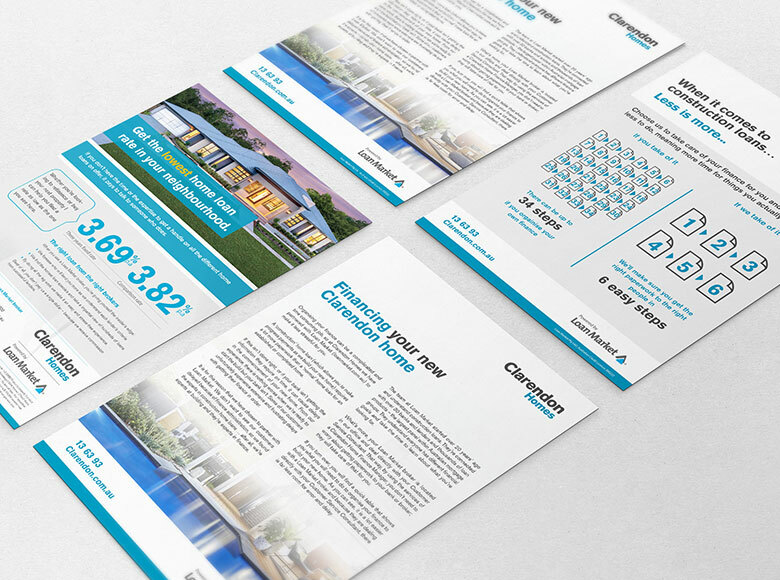 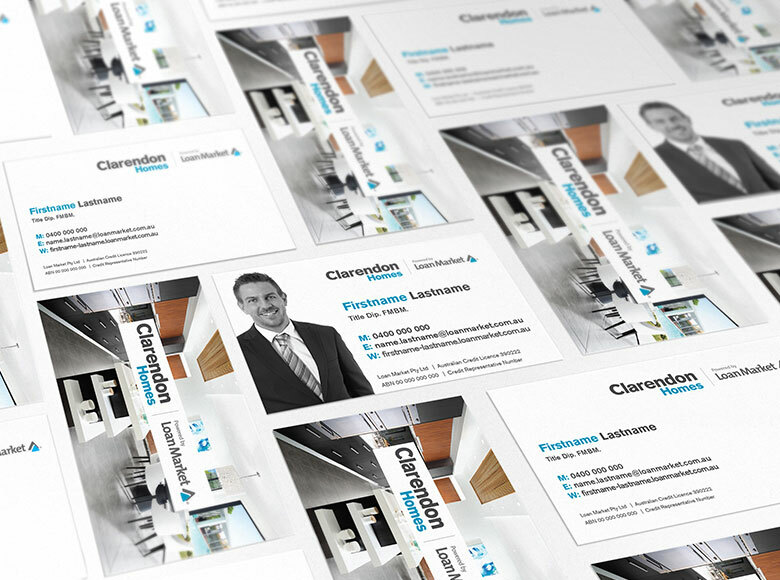 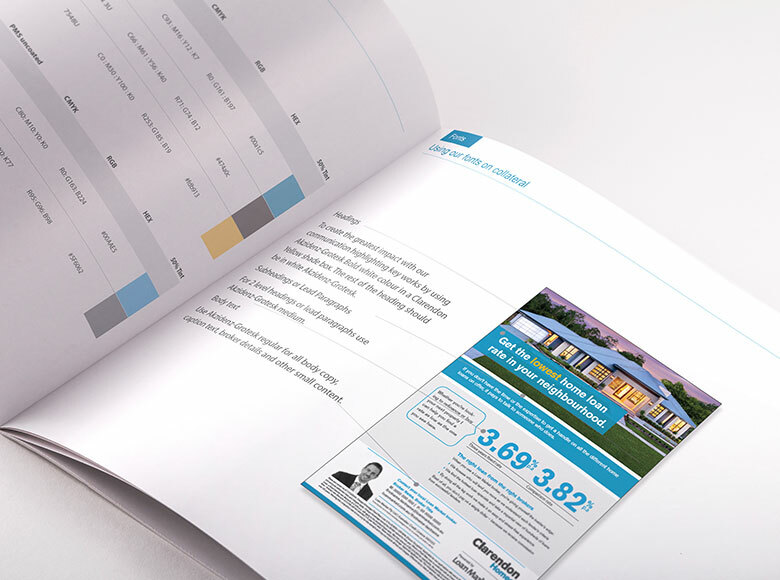 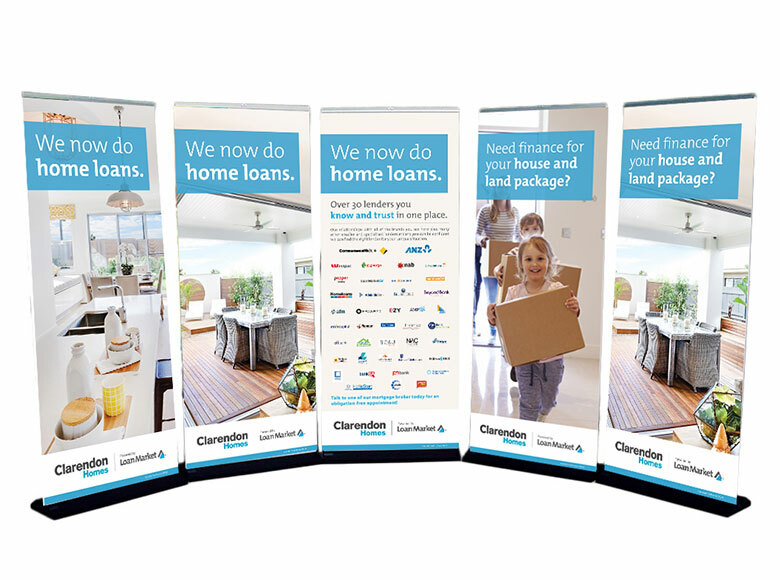 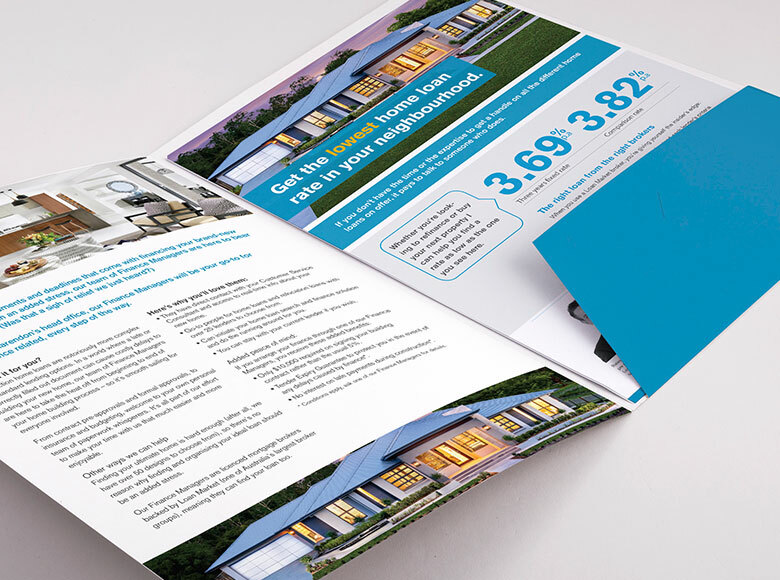 The dual branded collateral suite consisted of digital and printed assets; flyers, sales brochures, eDMs, Facebook advertising, website landing page, digital screens, pull up banners, posters, stationery and sales packs.